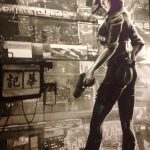 Paramount have acquired one of the worlds most popular Manga and Anime franchises Ghost in the Shell. 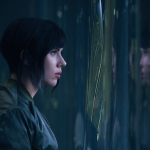 The movie has been green lit and attracted one of the worlds most successful female actresses to take on the lead role as Scarlett Johansson who will play Motoko Kusanagi. The story has always been a pretty popular concept. Human brains transferred into advanced robots to fight crime and shoot guns. Who wouldn’t like that. Then when you combine it with Scarlett Johansson you have an instant block buster movie. 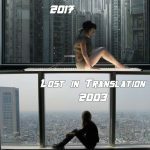 Leaked movie posters and character photos for the 2017 Ghost in the shell movie starring Scarlett Johansson. It looks like Paramount’s investment is going to pay off on this manga adaptation. Paramount have released the first picture of Scarlett Johansson as the lead in Ghost in the Shell, she looks awesome but it’s caused a lot of controversy online. Scarlett Johansson has signed up to play the lead role in Ghost in the Shell but who is leading the way behind the camera.